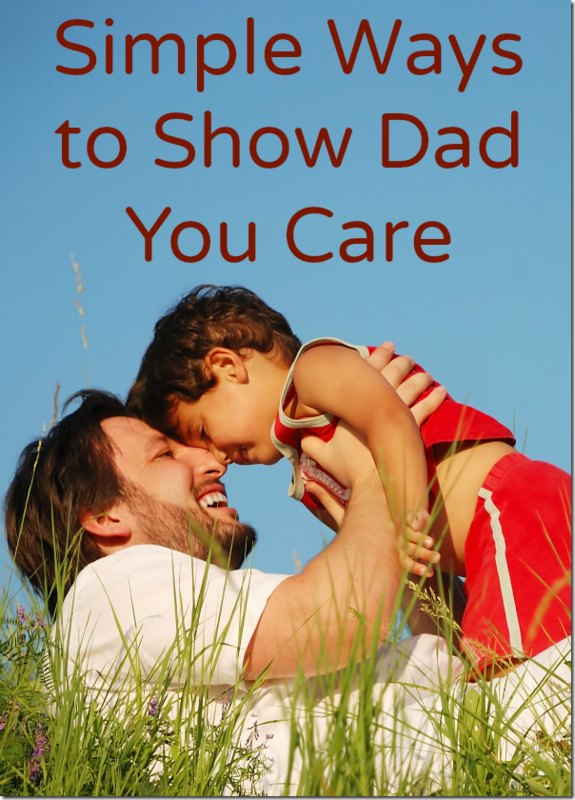 We should show dad we care all year long, not just on Father’s Day. Some toys just seem to attract dads more as a possible connect to their sons and daughters. Something about trains seems to scream dad so Thomas The Tank Engine wants to remind you to take care of your dads because they are special. I’d like to remind you too with these simple ways to show him you care. Dads love cards homemade by their children. Kids 4 and older can make their own with pictures or words depending on age. Have them “write” their own message and if it’s not readable yet, offer to write what they were saying again to make sure dad gets the message. Children 3 and younger will need more help. Let them doodle and then write a loving message from son/daughter to dad. Search Pinterest for gifts for dad and you will have an unending supply to choose from. Some are quite extravagant for the very artsy while others are quite simple for the less artistic. Let your child help you choose and make sure he or she is doing it too. It should be from the kids. On a day when dad normally has household tasks to take care of, give him the day off and do the work for him. Older kids can help as can moms and grandparents. Dad can go out or stay home and just relax in front of the TV or whatever he likes to do. It’s quick and simple but it will show dad he is loved. Surprise him the next time you see him and tell your children to do the same.